2) We now provide bank transfer donation method to worldwide users without Paypal account. 3) Everyone, donate now and get a free ANJell gift(applies to ALL. See conditions below) ! 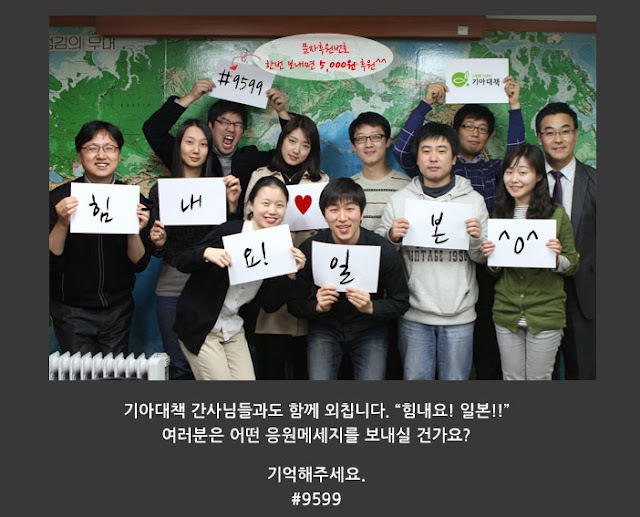 SHin Hye has joined forces with non-profit Korean organization "기아대책 KFHI" in promoting its Japan fundraising project! As a kind-hearted person and frequent volunteer worker, Shin Hye is very upset about the situation in Japan and hopes to make a difference by donating money as well as urging people around her to donate to Japan. She mentioned on her twitter "On this very cold winter day, Japanese earthquake victims are still battling with their harsh circumstances. Please donate to "기아대책" to help them." Since the donation link on "기아대책 KFHI" 's website only accepts Korean citizens' donation (require Korean id #), we at Park Shin Hye International Fanclub has joined Shin Hye in this meaningful event. With approval and help from her team, we will now be receiving donations and forwarding them to "기아대책 KHFI". Which means, from now until March 24 2011 11:59pm (Korean Standard time GMT +9), we will be accepting donations from fans and friends worldwide on behalf of Park Shin Hye and 기아대책. We are also very proud to announce that we are now collaborating with our friends at ANJellHaven on this meaningful project. For every $8 USD or more donation made from now until the fundraiser finishes, ANJELL Haven will be sending their official sticky notes as a Thank You Gift for your generosity. 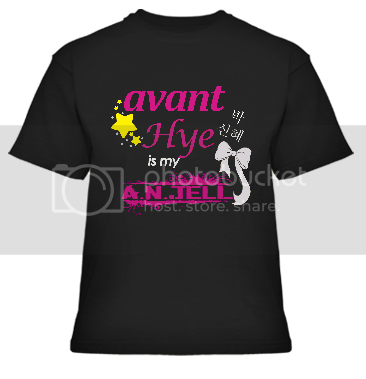 Additionally, donations of $20USD or more will be entered into a lucky draw for the official ANJELL Haven shirt and “Avant Hye is my ANJELL” shirt. These shirts are just now being launched for this event. They are tentatively not for sale. "1..일본팬분중 한분이 실종되셨다는 소식을 들었어요.. 제발 무사하길 기도합니다.. 제발.. I heard a Japanese fan is missing. Please, I pray for your safety..please..
3.집으로 돌아가신 분은 다른분이시네요.. 제가 처음에 들은 일본분은 아직..소식이 없으신것같아요... The person who returned home is a different person.. The Japanese person I first heard about is still..seems there is no news..."
Right now, Shin Hye is preparing for her upcoming drama "Festival" with CNBlue's Jung Yonghwa. She is learning how to play the traditional Korean instrument gayageum with a professor at Joong Ang University. 2) For Filipino fans who would want to donate but do not have a paypal account, please deposit to the following bank account. And please send us an email to shinhyeint@gmail.com after your deposit. 3) Thanks to our wonderful friends at ANJellHaven, we now accept bank transfer in Indonesia. Please transfer your donation money to the following account. And please send us an email to shinhyeint@gmail.com after your deposit. When donating, please note as "donation for the Haven Moves for Japan project". Should you have any questions, please email us at shinhyeint@gmail.com. Thank you!